In the last few years, we've seen an explosion of DSLs and tools that focus on enabling Infrastructure as Code. The Infrastructure as Code approach allows the best practices of software development like code reuse, versioning, and peer review to be applied to new domains such as infrastructure management. In helping organizations adopt these tools, we found a common shortcoming was the ability to impose specific compliance or security policies on infrastructure changes. In trying to apply the "As Code" approach to this problem, we created a new language called Sentinel, focusing specifically on policy applications. Sentinel is meant to be read and written by non-programmers, specific compliance and security officers who are unfamiliar with traditional programming languages and constructs. We discuss the design principles of the Sentinel language, it's basic syntax, runtime implementation, and some of the use cases we've deployed it for. 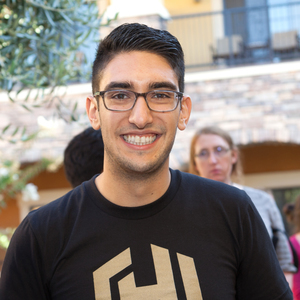 Armon (@armon) has a passion for distributed systems and their application to real world problems. He is a co-founder and CTO of HashiCorp, where he brings distributed systems into the world of DevOps tooling. He has worked on Nomad, Vault, Terraform, Consul, and Serf at HashiCorp, and maintains the Statsite and Bloomd OSS projects as well.